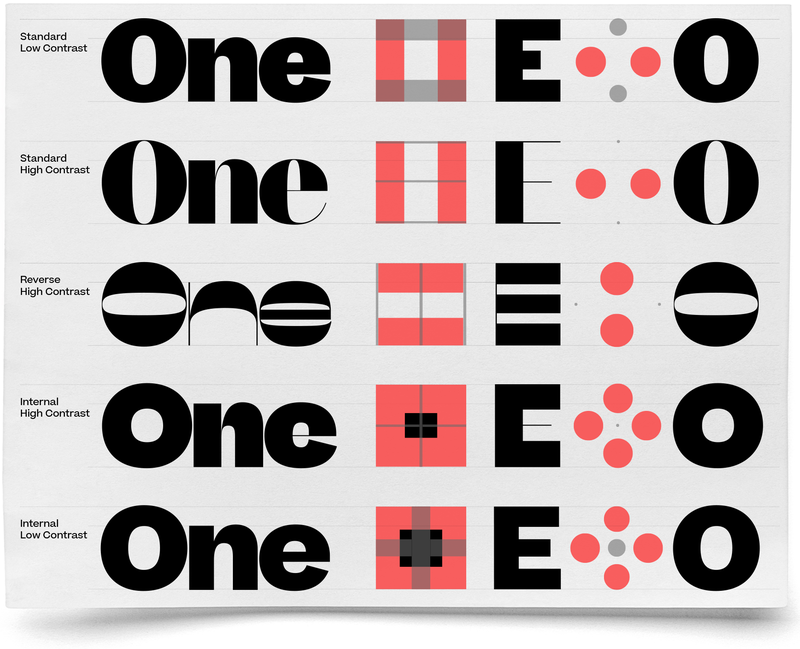 The idea is simple: every letter has an inside and an outside–Internal contrast is when stroke emphasis is applied to the outside of the letter-shape, with the strokes on the inside of the letter-shape being the hairline. 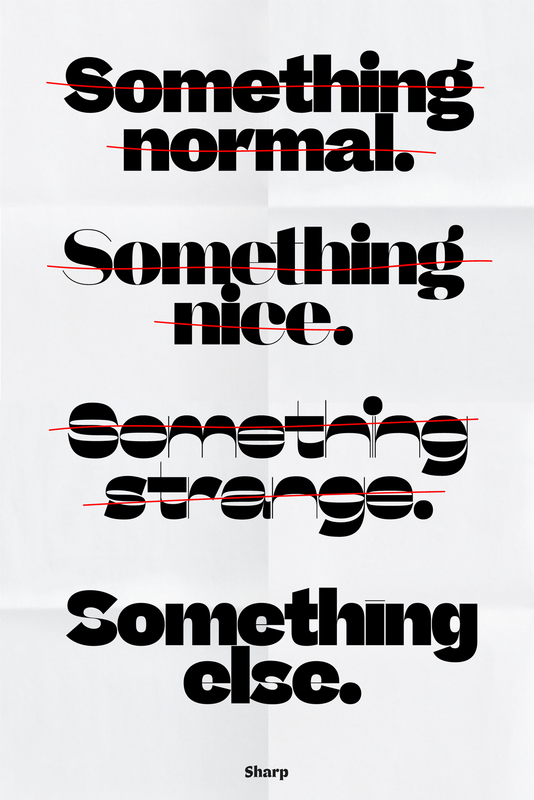 This, combined with the classic sans-serif convention of pinching at the intersections of strokes and bowls creates a texture of thicks and thins that behave functionally in much the same way as a standard high-contrast expansionist sans-serif, even though aesthetically it is wildly different. 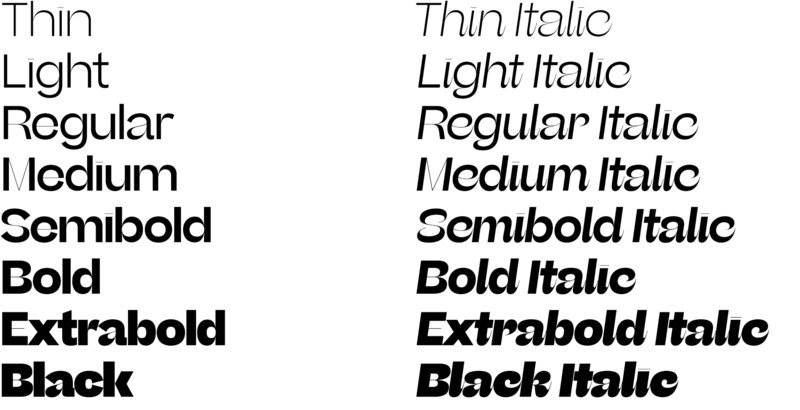 The standard Beatrice family is built from the same skeleton as the roman display, but with much lower contrast, and is designed to work in a wide range of optical sizes. 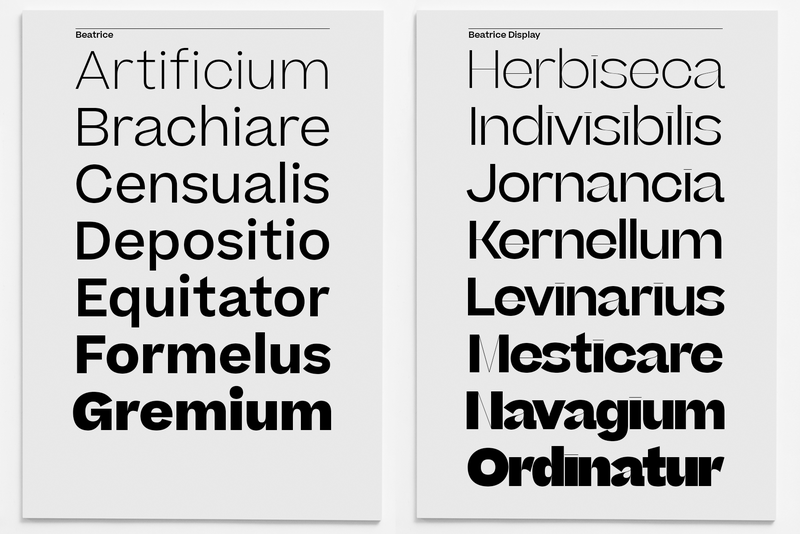 Although Beatrice and Beatrice Display share a common skeleton and Internal Contrast style, the visually striking effect of the high contrast Display is almost reminiscent of reverse contrast as a visual oddity, while the standard cut of Beatrice appears very restrained and can easily be mistaken for a more standard grotesk typeface. 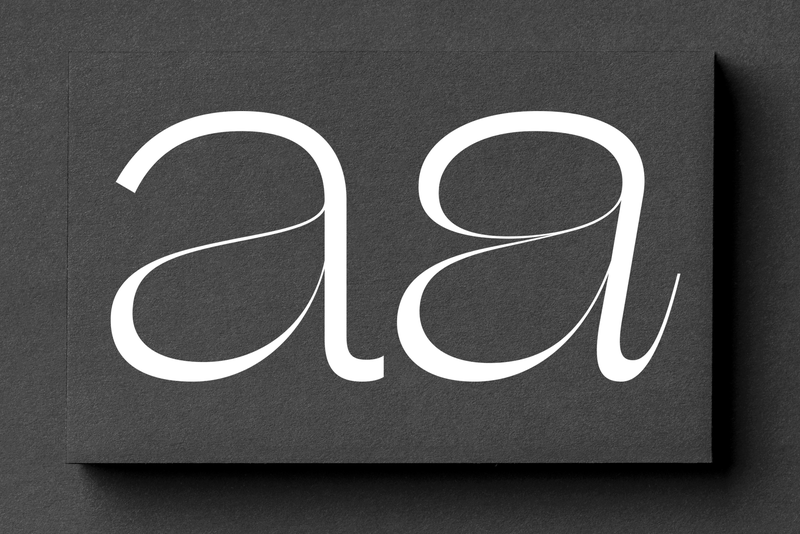 Beatrice Display is an exuberant and instantly apparent expression of the Internal Contrast method. It is extremely high contrast, unrestrained, and includes tight-as-can-be spacing and apertures, making it unsuitable for use in point sizes below 36pt. In drawing the initial roman of Beatrice Display, we set out to create a new set of rules. 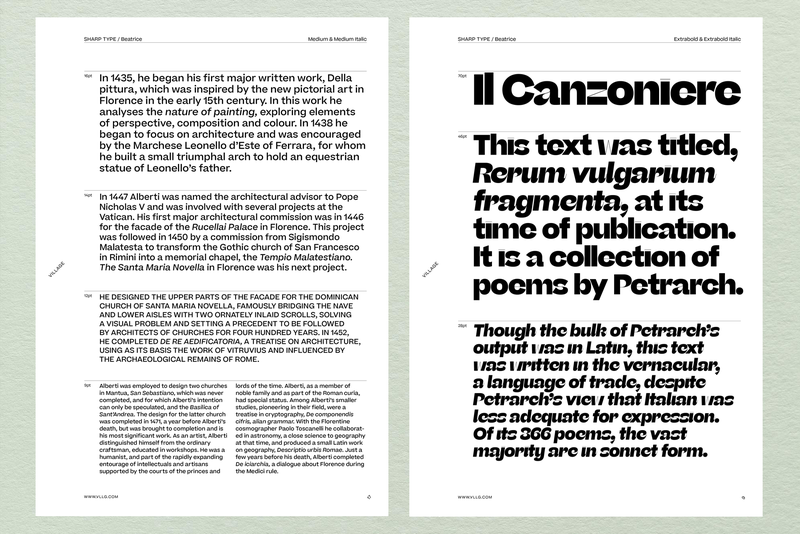 In the italic we bent these rules in new directions and sometimes broke them, adding a hefty dose of translation and rotation. The calligrapher’s hand is ever present, but the tools and techniques are constantly abstracted and obscured.